The best way to explore not only London, but also its surroundings is to hire a car. This way, you can be fully independent and enjoy the area very conveniently. With Driveboo, you can easily compare different car hire offers and book your rental car directly online. London being the capital of the United Kingdom and the largest city in Europe, is one of the world’s most important business, financial and cultural centres. The City of London is home to the largest international banks and businesses. By housing around 240 museums, London is also the cultural capital of the United Kingdom. Further, the city has the world’s most developed metro network with 400 kilometres and 270 stations. Where should I hire a car in London? 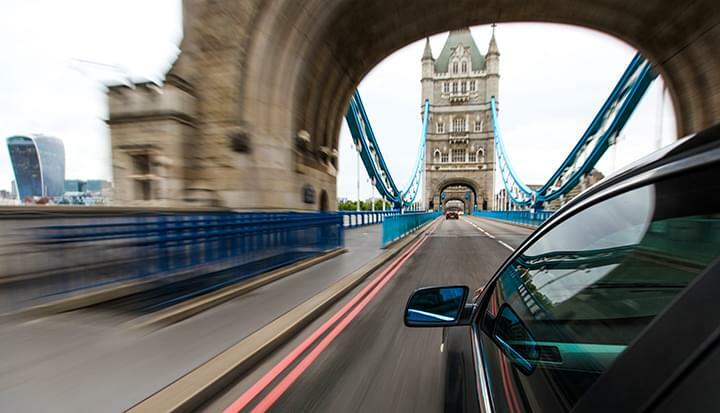 If you rent a car in London, you should always choose full insurance, regardless of the amount of time you plan on driving. When hiring a car, you should also pay extra attention to include a liability insurance with a high coverage. As usual, cars are driven on the left. Drivers from other countries are advised to first practice their skills on less frequented roads. All drivers in England must be at least 18 years old and have a valid driving licence. A European driver's licence is sufficient. All passengers must wear seat belts, but drivers are only responsible for themselves and minors. What are the speed limits for rental cars in England and London? With a car hire, you can also visit various destinations in the area surrounding London. Worth a visit is Hampton Court, located to the south-west of the city, where many English kings resided up to the mid-18th century. The castle has a magnificent interior and is surrounded by beautiful gardens. Take your car hire to a drive to the historic suburb of Greenwich, home to the Royal Observatory, Queens House and Greenwich Park, which is a UNESCO World Heritage Site. You can also relax with a trip to Hampstead Heath: this is a beautiful park with stunning bathing lakes. Also the beautiful city of Brighton is always worth a visit, as well as the small town of Stratford-upon-Avon, northwest of London. An extraordinary day-trip destination is Oxford, the famous university town, which is located about 90 km northwest of London. 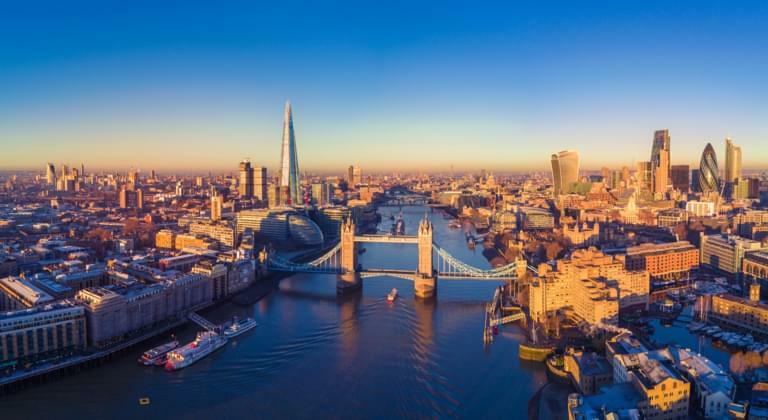 In London, there are four UNESCO World Heritage sites, namely the Tower of London, the Greenwich Astronomical Observatory, the Royal Botanic Gardens and the area including Westminster Palace, Westminster Abbey and St. Margaret’s Church. Also worth visiting in the city are the West End and Leicester Square. You should also definitely see the famous Piccadilly Circus, one of the symbols of London. Other attractions of the area include Chinatown and Covent Garden, including the Opera House. Nearby, you will also find Europe’s busiest shopping street, Oxford Street, which is about 1.2 miles long. While being in London, you also need to see one of the city's biggest symbols – Big Ben. Another famous symbol of the city is Tower Bridge, one of the most beautiful bridges existing. Those who want to relax surrounded by beautiful greenery should visit Hyde Park. This is one of several Royal Parks in London, located on both sides of the Serpentine lake and covering an area of 360 acres. The Boat Race on the Thames between the rowing teams of Cambridge and Oxford is an absolute highlight for many tourists and should not be missed on a trip to London in the spring.